Whether it be boutique, budget or luxury – elements of natural stone and innovative quartz composite and ceramic products ensure a traditional yet timeless design in the hotel industry, whatever its category. 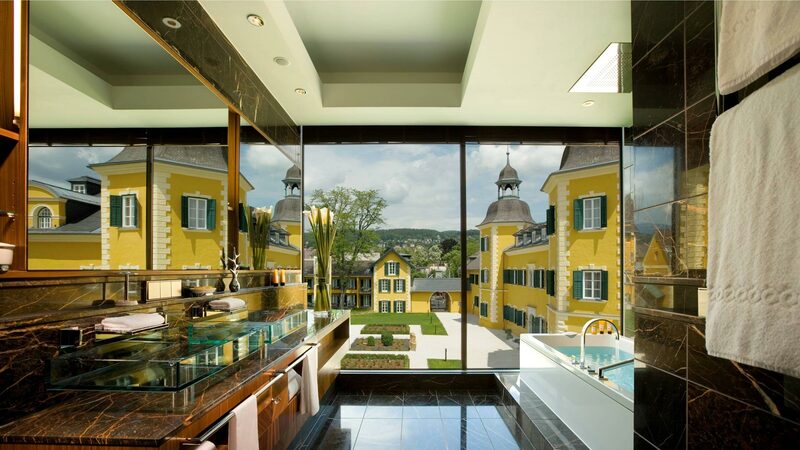 Over the last 20 years, we have successfully undertaken hotel projects in Germany and abroad. We want to spark our customers’ enthusiasm. To make that possible, it’s important to be in a constant state of reinvention. From offering new materials to developing innovative technical solutions with stone. Our customers appreciate our skill at making dreams come true. KMD is a specialist for natural stone and engineered stone with a great expertise, which as an architect you should definitely use! You get good value for the money you pay. You have my eternal devotion for building my stone sculpture. Unfortunately, I have not been able to use it in a spa yet, but the day is coming and until then it adorns my living room as a light sculpture. Working with KMD is characterized by the willingness to work hard in supporting our goal of delivering exceptional results. We always strive for the highest quality, thus the concept of craftsmanship is our credo and KMD has been a reliable partner for many years. For this we are thankful.